For a new parent, developmental milestones are an exciting thing to consider. These milestones mean that your baby is growing, learning and changing right on schedule. There comes a time in every child’s life when development suddenly speeds up. For many kids, this happens when they reach the age of about 16 months. 16 month old milestones are very important because they mark when your child is transitioning from an infant who needs your help at every turn to a much more independent, lively child who is learning that she is separate from her parents, and she can strike out at the world on her own. Read on learn all the physical and cognitive development that your child at this stage. At this point, your baby has finally learned that she can do things on her own. As a result, she wants to become more independent and push herself to find where her limits are. A month ago she was content to walk across the floor and keep her balance. Now she wants to walk across the floor with heavy toys in each hand. Last month she was more than happy to sit on the couch and watch television; now she wants to crawl up on top of the television and see how things look from that particular viewpoint! It’s enough to drive a parent a little crazy. Your 16-month-old has more control over her body. Not only can he/she walks more steadily, they also start drawing and stacking. 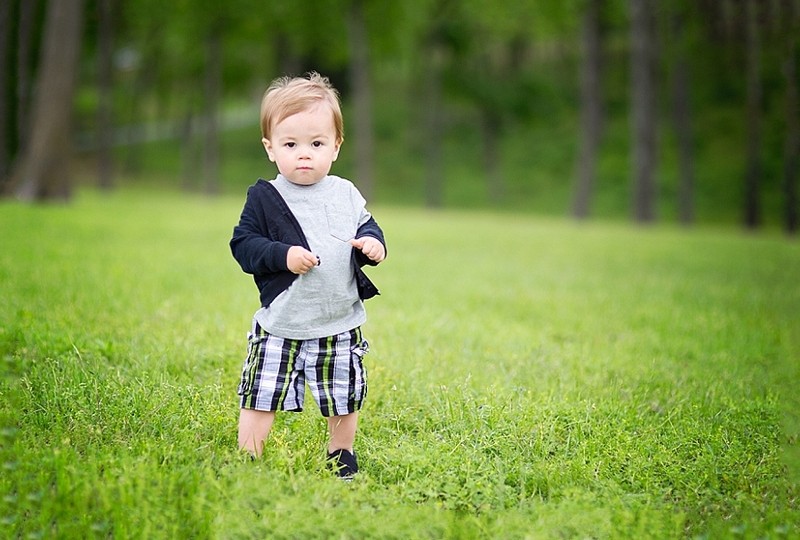 Now is a great time to encourage your little one to walk. Make a point of standing just far enough away that he has to walk a little farther than he is accustomed to in order to get to you. Take walks by holding her hand and encouraging her to move on her own. Stacking blocks is also a great way to help her develop her hand-eye coordination. Coloring with big crayons and finger painting are also great ways to teach her to use her hands in newer ways. These 16 month old milestones can also give your baby a chance to express her creative side. In addition to serious child-proofing of your home, you can do things to help your child enjoy her newfound independence and stay safe at the same time. You can also help your child explore these new aspects of her physical body by trying out a few things that she will surely enjoy, such as new games that spur development. When it comes to your baby’s mind, right now it is really like a sponge, soaking up absolutely everything and filing it away for later. Your baby’s cognitive development at 16 months is huge, and will only continue to grow. In fact, your toddler knows much more than you think he does; he understands a great deal of what you say, even if he can’t talk back to you very well just yet. But there is a reason why parents learn to start spelling out things they don’t want their kids to know at this age! For instance, if you are going to the store to buy candy, you might make a point of saying you will go to buy C-A-N-D-Y. That’s because you already know your child understands what you say, and spelling things out is your way around it! Other changes are happening, too. Your child is learning what things are, especially nouns, and he will soon begin pointing to things and telling you what they are called. He still uses a lot of gestures, but he gets more than he can explain in words, so watch him for sign that he understands. For instance, asking him to go get his blocks just might result in him getting up and going to get the blocks. You can foster 16 month old milestones by catering to the five senses through learning experiences. Let her touch anything she wants, within reason, and explain to her what it is in very simple words. Let him get a taste of new foods and say the words as you do. Ask questions about everything. For instance, a child who points out an airplane in the sky could open up the conversation about where the plane is going and what planes do for us – they help us travel around the world. Now is an excellent time to read more stories to your child. The words will make more sense to her, but in addition, there are all the wonderful illustrations and things that she now understands that can make the reading of a story a much richer adventure. She might now recognize what a dog is, and point to it every time it appears on the page. You can foster this new habit by asking your child to point out the things on the page. It might make for a different type of bedtime reading, but it’s certainly one that will help your child grow. One of the best things you can do for your child at this stage is to simply listen. He has a lot to say, but sometimes it takes him time to say it in a way that makes sense. So let him communicate with you in his own way, and pay attention to what interests him while he does it. Then take that opportunity to show him even more of what has already caught his attention. This helps stimulate his brain, gives him more of the fun he craves and starts telling him, very early on, that he is worth being listened to, and he should talk about everything he sees and hears and feels. It’s a great way to not only foster those 16 month old milestones, but a fantastic way to connect with your child on a deeper level. When do Babies Discover Their Feet?